Ebby Lee turned three and Nixon turned two right before Easter this year. We thought it'd be great to throw one big jumbo Easter party for the occasion. 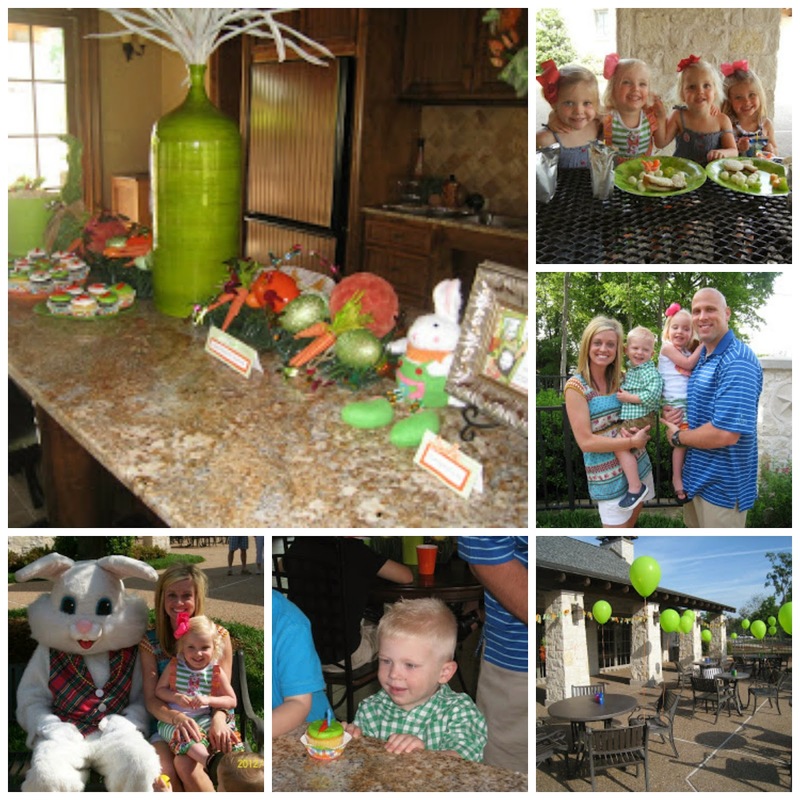 We had lots of friends and family come celebrate with a yummy lunch and an egg hunt. Even the Easter Bunny made an appearance. It was the perfect combo party! This was the very first "kid" party I ever threw!! I started planning months in advance and that is not a joke! 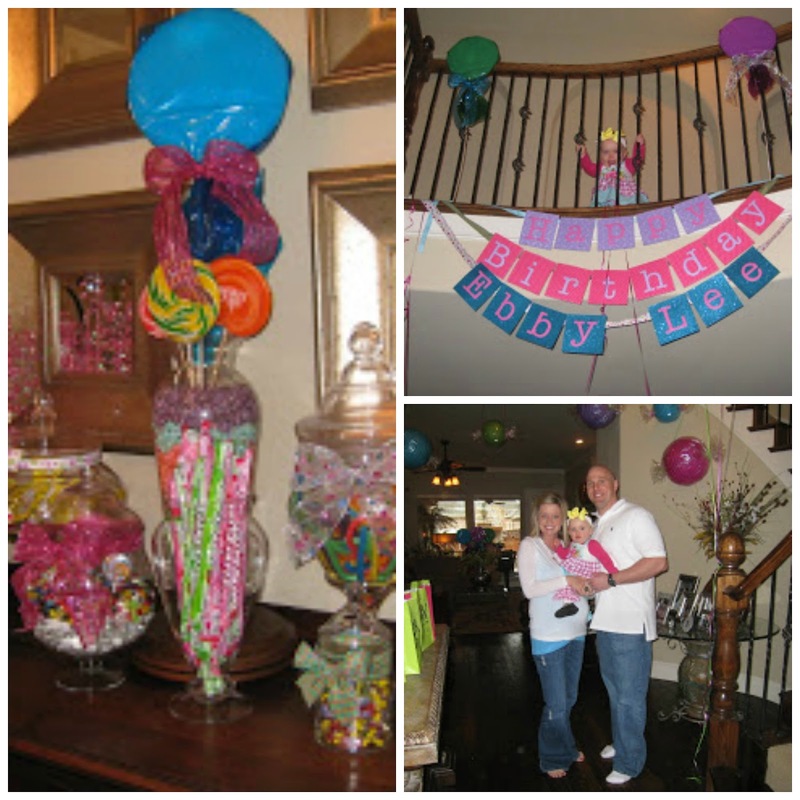 We had a candy-themed party for Ebby Lee's first birthday. My in-laws were gracious enough to host and we turned their house into a little candy land. 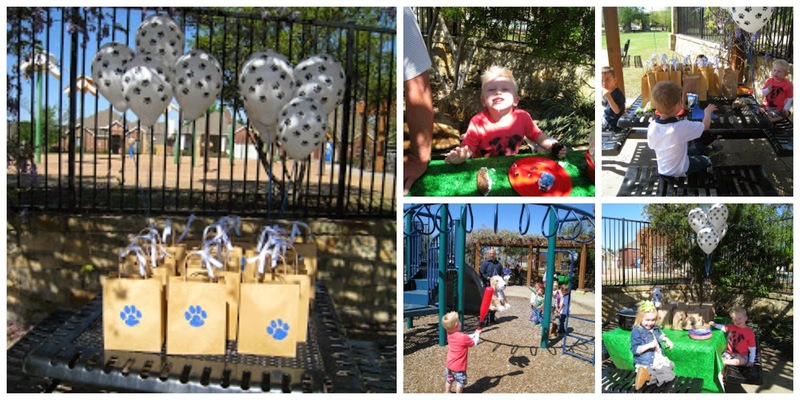 Nixon's Dog Birthday was one of my very favorites because hosting a party at the park was SO easy! I still had a few decorations, a pinata, a "dog" themed lunch complete with doggy bags, and a built-in play area to keep them entertained. 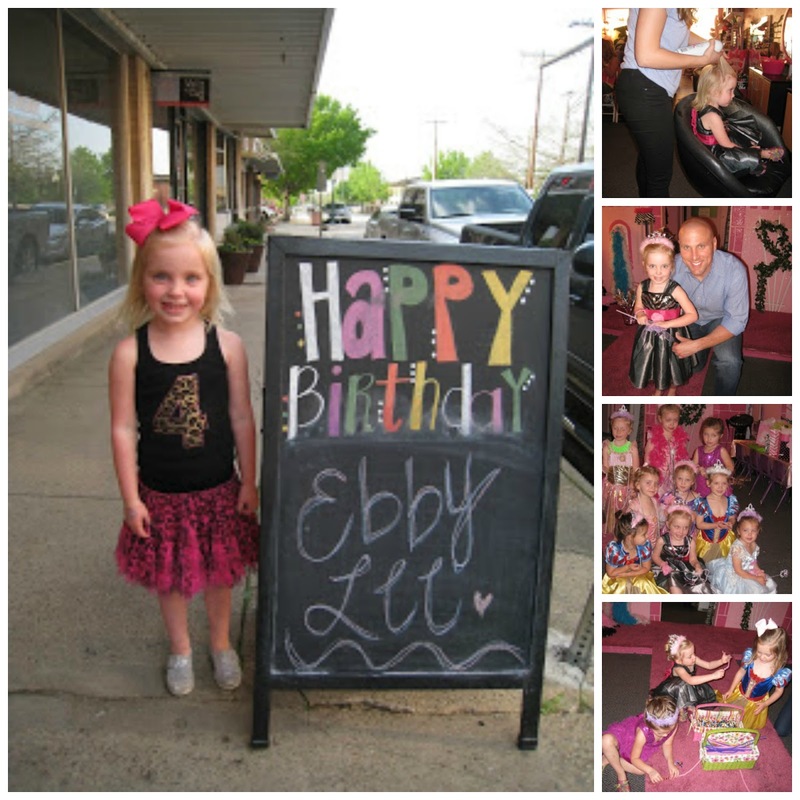 If I polled my kiddos, Ebby Lee would without a doubt say this Princess Party was her favorite ever! Partly because she probably doesn't remember the others and partly because she had an absolute BLAST! I loved seeing all the girls' faces. They were so excited about getting to dress up like princesses. Your kids always have such fun parties! I'm not sure I could pick my favorite??? Maybe their Easter party? That one was so much fun! 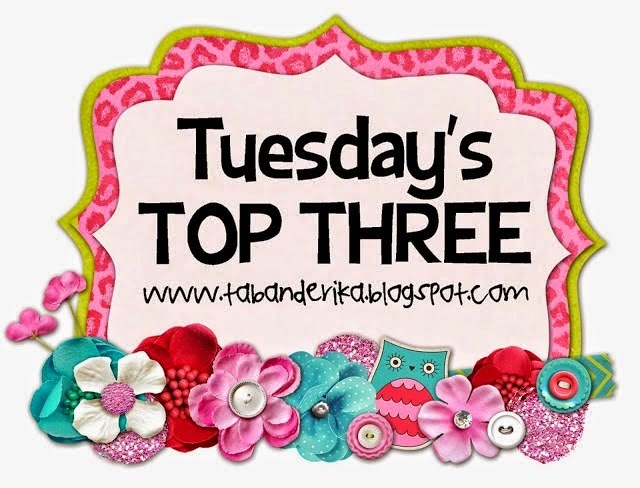 I also loved the theme you did when they turned one and two! So cute! That Easter party was so cute!! Also, the princess and dog party! Adorable! We love all of your parties!! Thanks, ladies!!! As they get older, the parties get easier! Wahoo!! A "Fancy Nancy" party sounds so fun!! How sweet! Isn't it cute how kids have their own individual ideas of how they want to celebrate their bdays? I love it! I love all of these parties! I can't wait to see the Fancy Nancy party! My first graders at school love Fancy Nancy! And the zoo birthday- how fun! Where we live in Ohio, there is a very small zoo about 20 minutes away that does birthday parties- my oldest had his 4th bday there. It was wonderful- anything involving a zoo is always fun! That would be fun at have your party at the zoo. I should have clarified....he just wants to go o the zoo. Way easier! Hahahahaha!